The astrological zodiac is comprised of twelve horoscope signs that each symbolize an equal division of the zodiac. In Western astrology, each of the twelve signs represent a different personality type. Match the birth dates of yourself, friends or loved ones with their corresponding horoscopes below to learn more about personal qualities and traits typical of those born under a particular sign. As the first sign of the zodiac, Aries are natural-born leaders. 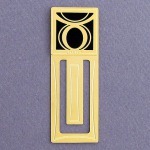 They take initiative in everything they do and have a special instinctive understanding in what has to be done. Lively, energetic and daring, Aries naturally gravitate towards adventure and travel, and they often display fearlessness in exploring life's unknowns. Because of these traits Aries can sometimes be impulsive and impatient, but they aren't afraid of making mistakes and learning from life's lessons. Others admire Aries for their unique independence and freedom of expression, not to mention their passion for learning and self-assurance. Famous Aries include Thomas Jefferson, Neil Armstrong, Aretha Franklin, Marlon Brando and Leonardo da Vinci. Don't know what to buy an Aries guy or girl? 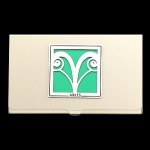 Check out our unique Aries the Ram Gift-Giving Solutions for personalized gifts that are sure to please the hard-to-buy-for Rams in your life. Those born under the sign of Taurus are best described as practical, cautious and never hasty, especially when making decisions related to the welfare of loved ones. Taurus is extremely dependable in relationships, always going to great lengths to avoid letting others down. Patience, persistence and honorable intentions are the finest traits of this sign, which explains why Taurus rarely gives up on a task after starting it. Because Taureans take great pride in seeing things through to the end, they find it difficult to embrace change. 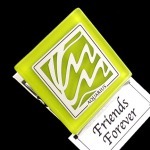 With wonderful intuition and reasoning skills, however, Taurus folk are often successful in the challenges they meet. Famous Taureans include Socrates, William Shakespeare, George Lucas, Jack Nicholson and Audrey Hepburn. Need a gift for a Taurean man or woman? Visit Unique Taurus the Bull Gifts and Astrological Decor to create a custom Bulls gift that's sure to impress. 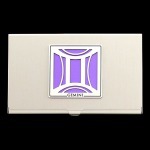 Gemini strengths revolve around intelligence, communication and self-expression. They are easily captivated by wit and good conversation, and are always striving to challenge their mental abilities by putting extra effort into understanding things fully and completely. It is this adaptability and versatility that makes Geminis fascinating company for others. While Gemini has a variety of interests, however, they can wind up spreading themselves too thin. Should they learn to pace themselves properly, Geminis have the natural stamina and determination to achieve more than most. Famous Geminis include Marilyn Monroe, Bob Hope, John F. Kennedy, Dean Martin and Donald Trump. For creative and interesting Twin gifts, see Personalized Gemini the Twins Horoscope Sign Presents for cool souvenirs adorned with the Geminis symbol. The Cancer man or woman is likely to be the first person others turn to for a shoulder to cry on. Caring, generous and intuitive, Cancers are nurturing folk that are spiritually and karmically developed, meaning they are extremely receptive to their environments as well as the people around them. This intuition serves them well as it is usually right, and the ability to feel the energies of others before they open their mouths make Cancers ideal company. Because they easily absorb other emotions, Cancerians tend to be moody at times, but others willingly overlook this in consideration of a Cancer's loyalty. Famous Cancer Crabs include Robin Williams, Nancy Reagan, Tom Cruise, Giorgio Armani and Helen Keller. Show a Cancer guy or girl how much you appreciate them with an original, handcrafted Astrological Cancer the Crab Keepsake they can cherish for years to come. Like the lion that represents them, Leos are true forces of nature. Filled with dynamic energy, they are extremely generous, bright and self-motivated, always wanting to make the best impression in everything they do. When a Leo is especially upbeat, others can't help but be attracted to them-- Leo men and women love sharing their joys and successes with loved ones, never expecting anything in return. Leos are also lucky in that they have excellent timing, always saying the right thing at the right moment. Though others can be intimidated by a Leo's strong sense of self, the Lion's trademark loyalty and warm heart can quickly change their minds without much effort. Famous Leos include Amelia Earhart, Mick Jagger, Arnold Schwarzenegger, Barack Obama and Andy Warhol. Searching for the perfect Leo inspired gift? See Personalized Gift Options for Brave Hearted Lions to view our artistic horoscope inspired gift collections. 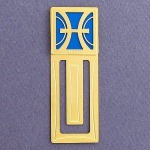 Virgo men and women have a distinct reputation for perfectionism. Because of their skillful insights, broad knowledge and attention to detail, they can effortlessly make a good impression in any setting or situation. Cautious they may be, Virgos always like to be one step ahead and wisely use their time to ensure they complete all tasks to the best of their abilities. At times, a Virgo can be highly critical of the world around them and this can frustrate others who fall short of these high standards. But, Virgos have very good intentions overall and their desire for seeing the world at its best ultimately inspires others to recognize the importance of hard work and achievement. Famous Virgo Virgins include Sean Connery, Mother Teresa, Sophia Loren, Elvis Costello and Twiggy. 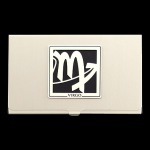 Give the Virgo in your life something to smile about with a one-of-a-kind Handmade Virgo the Virgin Collectible featuring your choice of customizable colors, metal finishes and engraving. Libras are potentially the most charming sign of the zodiac. With an unmatched knack for communication, they are well known for their outgoing nature and genuine talent for socializing. It is easy for others to find comfort in the company of a Libra as Librans create harmony in their environments to match their harmony within. They have a great desire to be liked by others and therefore tend to remain impartial in debates by agreeing with everything. While this may make a Libran seem non-committal, Libra men and women are in fact very reasonable and excel in making decisions because they can see all sides of an issue. Famous Librans include Eleanor Roosevelt, Truman Capote, Charlton Heston, Julie Andrews and John Lennon. 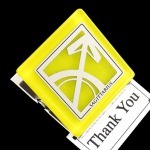 Wanting a thoughtful and clever Libran Scale gift? 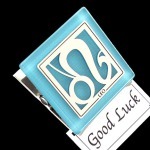 Select an original Custom Made Keepsake for Libra the Scales that reflects your thoughtfulness and caring. 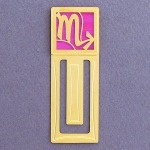 Often characterized by a cool and calm exterior, Scorpio men and women are extremely passionate, loyal and emotional. They give 100 percent of themselves to loved ones while expecting the same (if not more) in return, often committing to obstacles and challenges without a speck of fear. Determination is key to the Scorpion personality, where they always strive to be the best without letting anything stand in their way. This obsessive need to push forward can sometimes lead to self-destructive behavior as Scorpions may become jealous and resentful of others if they don't reach their goals. But, because Scorpios are tireless workers with incredible endurance, they are often rewarded for their strength in the face of adversity. Famous Scorpios include Pablo Picasso, Theodore Roosevelt, Martin Scorsese, Hillary Rodham Clinton and Johnny Carson. For a Scorpions gift that's sure to impress, create your own Exclusive Scorpio the Scorpion Keepsake that shows how well you know the Scorpio in your life. As one of the luckiest signs of the zodiac, Sagittariuses are favored by fortune which fuels their characteristic positivity and enthusiasm. Sagittarius men and women are very likeable and most admired for the confidence they exude in everything they do; they tend to trust their gut instincts, and this usually brings them great success. Because the glass is always half full for these folk, they are apt to spontaneously gamble and take risks in the name of experiencing something new. Sagittarians also aim high in their goals and objectives which others may perceive as overly ambitious, but because of their unique viewpoint in seeing life as an adventure, others are always wanting to go along for the ride. Famous Sagittariuses include Winston Churchill, Walt Disney, Steven Spielberg, Woody Allen and Bruce Lee. Looking for the perfect astrological Archers gift-giving solution? Check out our Distinctive Sagittarius the Archer Gifts and Decor for a striking present that'll please any Sagittarian. As Capricorns are down to earth and very matter-of-fact, they are incredibly practical in their views on life and tend to succeed in everything they attempt. They never shy away from hard work when it comes to achieving their dreams, and they are unique in that they gain more strength than others after recovering from life's misfortunes. Because the Capricorn mind is extremely meticulous and careful, however, they can sometimes focus too much on their ambitions and eventually become recluse or antisocial. In spite of this, others hold Capricorn men and women in high regard for their ability to perfect their work and help others without cutting corners. Famous Capricorns include J. R. Tolkien, Elvis Presley, Muhammad Ali, Al Capone and Edgar Allen Poe. 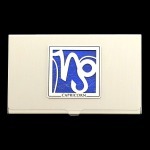 For clever Capricorns inspired gift ideas and collectibles, check out Special Capricorn the Sea Goat Gift-Giving Ideas to view our complete collection of gifts for Sea Goats. Those born under the sign of Aquarius are ruled by forward thinking and self-direction. These folk take pride in being unique, always setting themselves apart from others and expressing their eccentric spirit in everything they do. Aquarians aspire to become the masters of their own destinies, wishing to share their inspirational views of the world with as many people as possible. At times, Aquarius' revolutionary ideals can bring disagreements with others who have more conventional values. Though stubborn in sticking to their opinions, Aquariuses are actually more open than most when listening to and considering the ideas of others. Valuing intelligence and creativity above all else, an Aquarius is admired most for their independence and quirky talent for problem-solving. Famous Aquarians include Humphrey Bogart, Paul Newman, Abraham Lincoln, Charles Darwin and Oprah Winfrey. Shopping around for a Water Bearers horoscope keepsake? 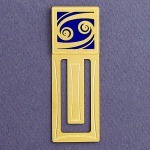 Visit One-of-A-Kind Aquarian Gifts for Men and Women to view our unusual Aquarius the Water Bearer art pieces. As the last and final sign of the zodiac, Pisceans are characterized by spiritual development and uncanny intuition, both of which are seen in their universal approach to life. Because they have vivid imaginations and are guided primarily by instinct, Pisces are not ordinary, run-of-the-mill people. They are truly compassionate and unconditionally loving towards others, often avoiding confrontation and sacrificing their own needs to help someone else. Unfortunately, Pisceans are easily taken advantage of emotionally as they can be overly trusting, naive and idealistic, yet their gentle disposition and empathy are regarded as their most unique and valued strengths. Famous Pisces Fishes include George Washington, Johnny Cash, Dr. Seuss, Elizabeth Taylor and Albert Einstein. 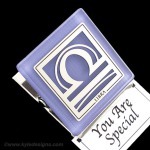 Give the ideal gift of appreciation with a design your own Astrological Pisces the Fish Gift Souvenir customized with beautiful colors, metals and personalized engraved message. Because each sign of the zodiac has a unique set of characteristics, certain signs are believed to have a natural attraction to one another based on these personality traits. Horoscope compatibility is a fun way to test whether you are truly compatible with a significant other or crush, friends, family and more. Simply find your zodiac sign below to see which other signs you might gravitate towards. 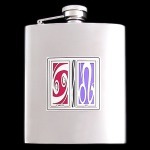 Using the chart below you can create a Horoscope Compatibility Flask for a special gift.